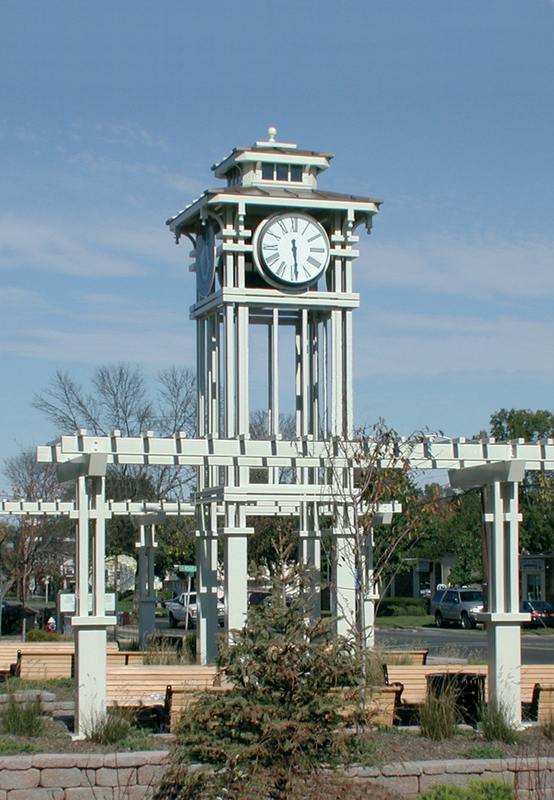 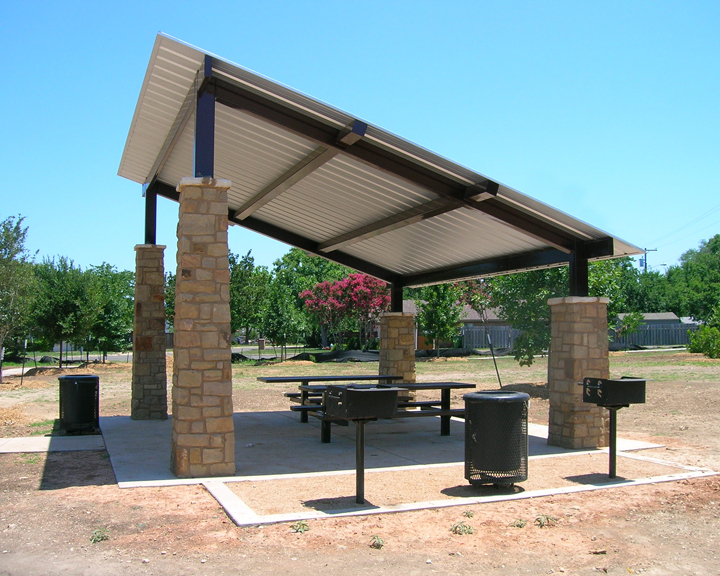 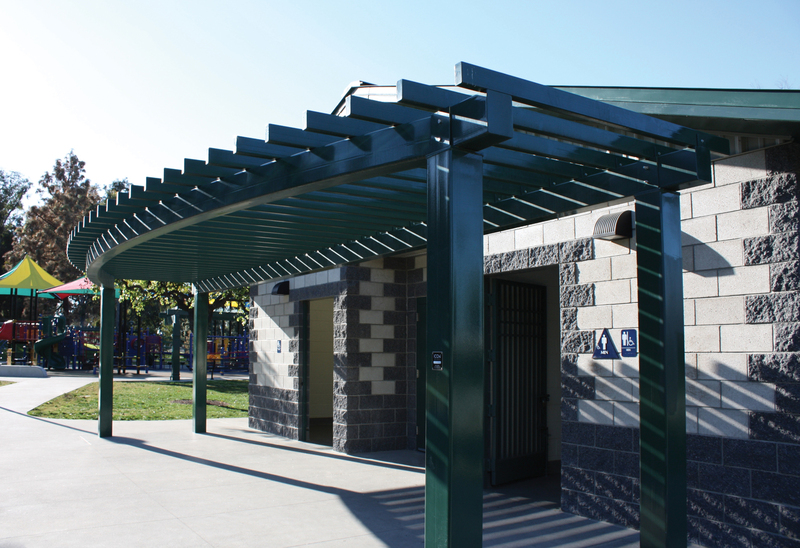 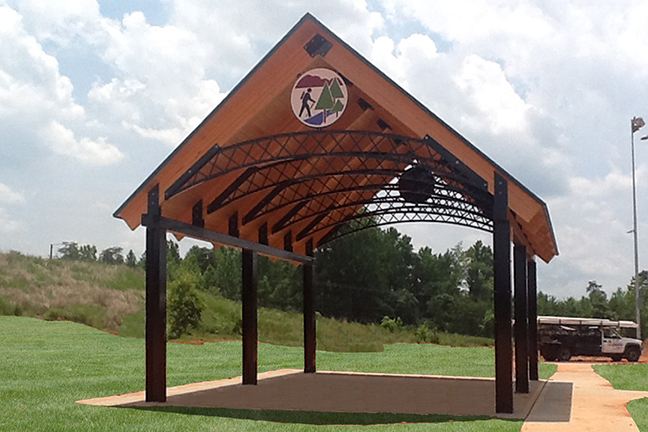 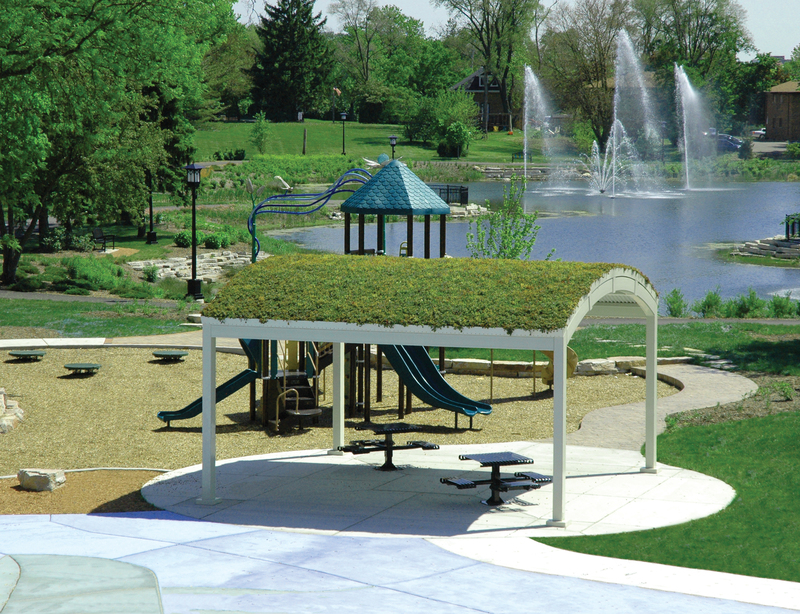 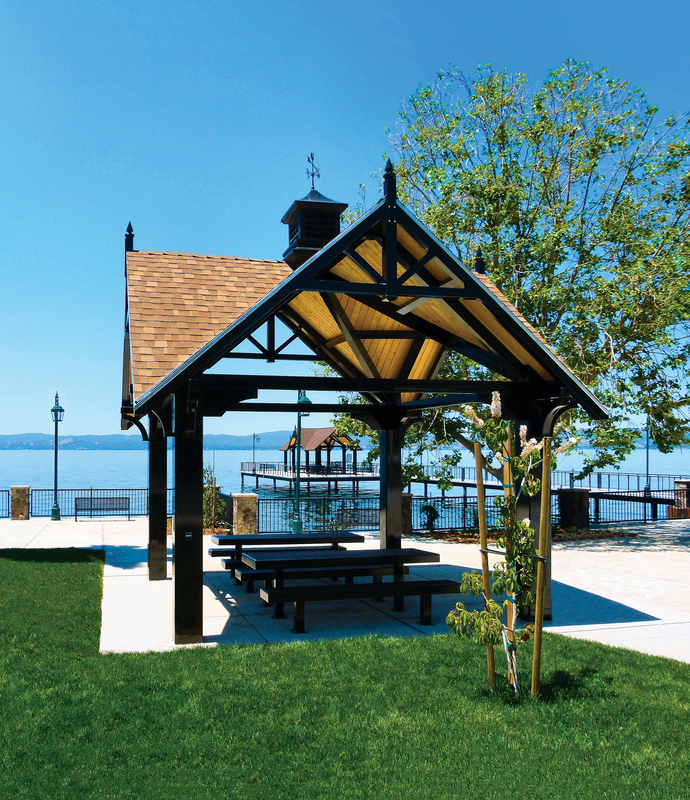 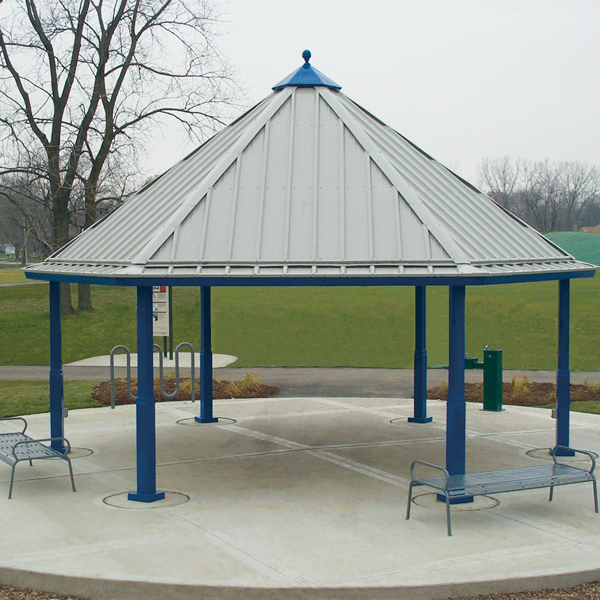 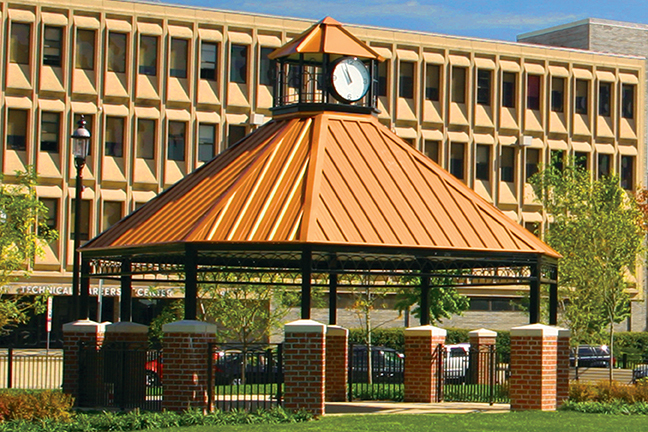 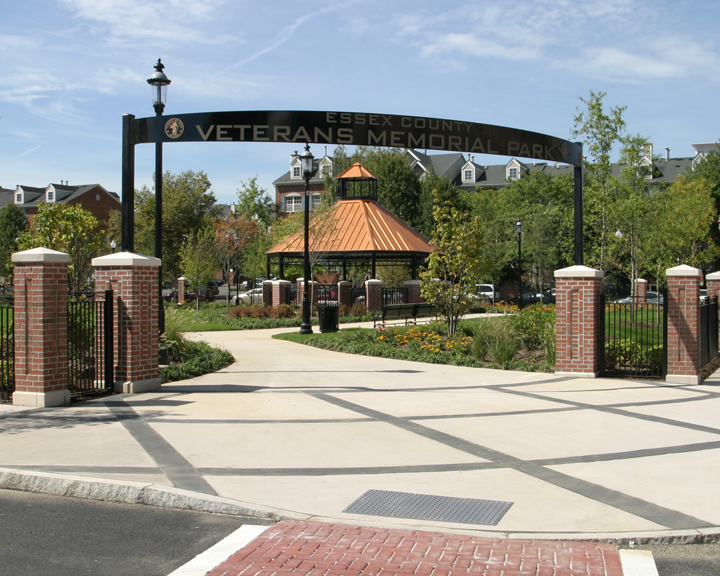 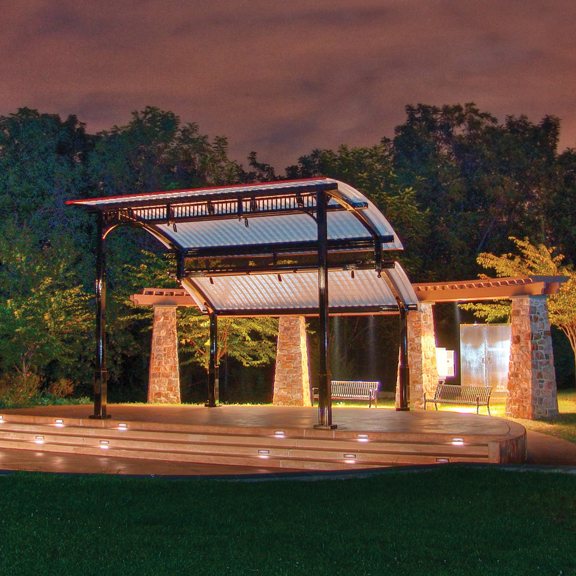 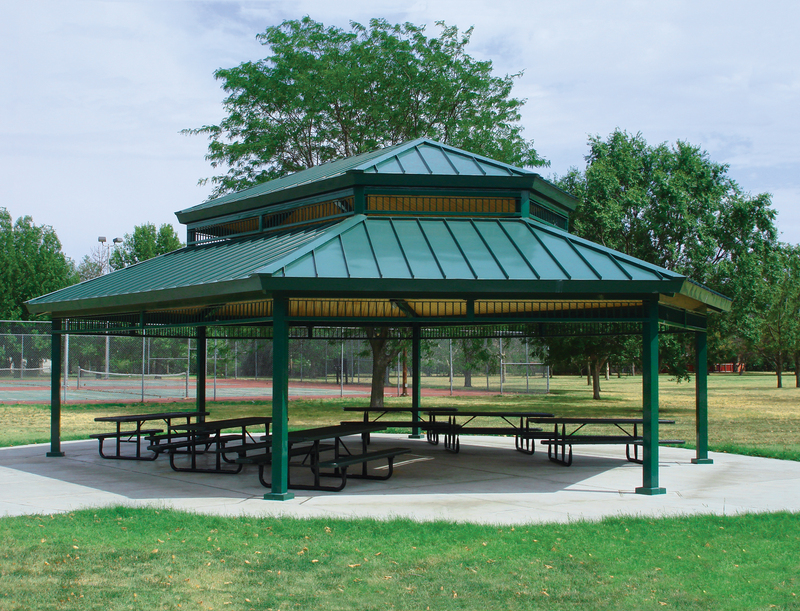 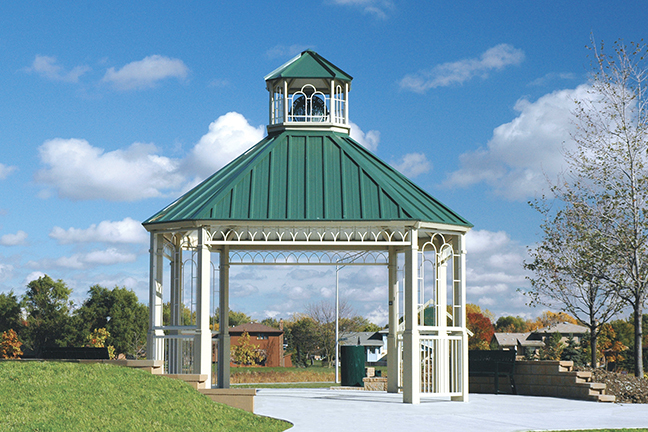 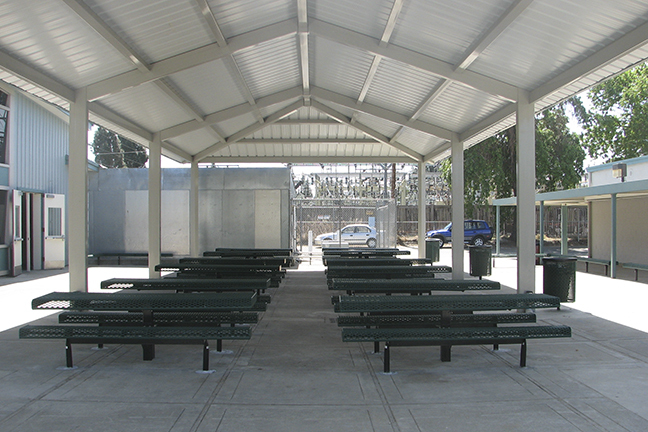 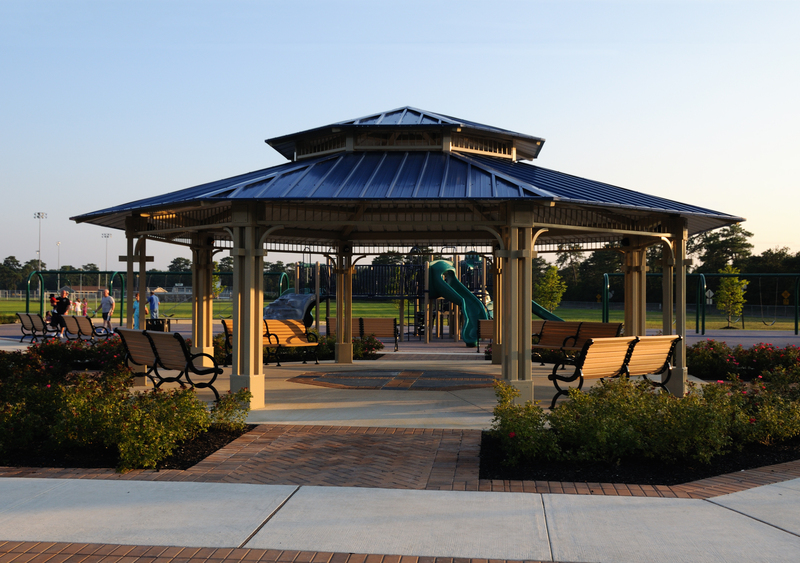 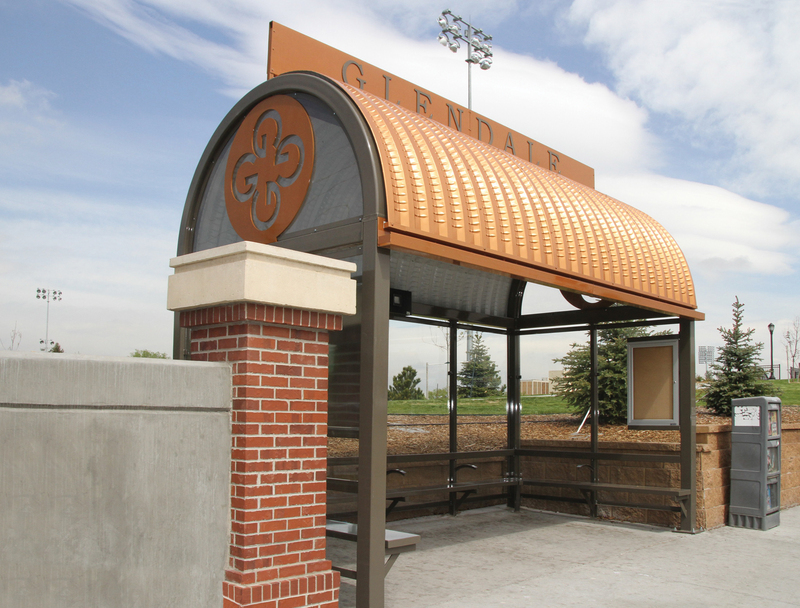 Newport Gazebo with Multi-Rib Roof Panels, Steel Frame Cupola, and CC5-65 Stepped Square Columns. 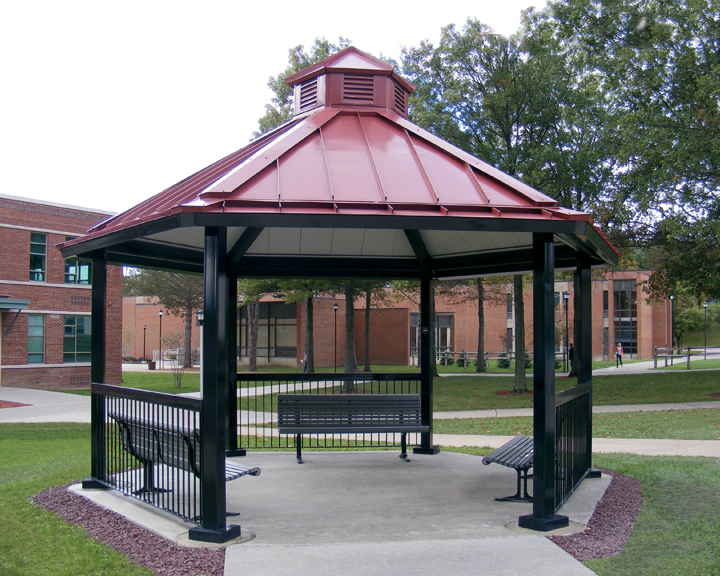 The standard roof pitch is 10:12 up to 24’, and 8:12 from 25’ to 30’. 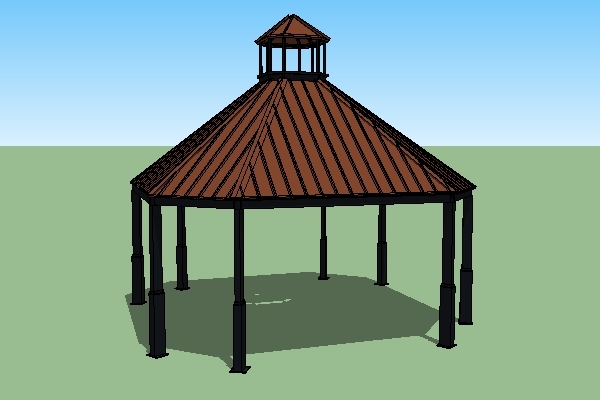 All models culminate in a large open compression ring and a Lantern Cupola. 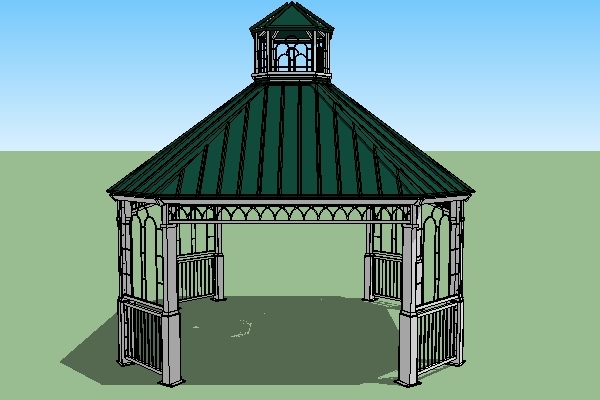 All Newport Gazebo models are standard with stepped columns, straight picket handrails and Palladian style upper panels in the short sides and overhead ornamentation in the long sides. 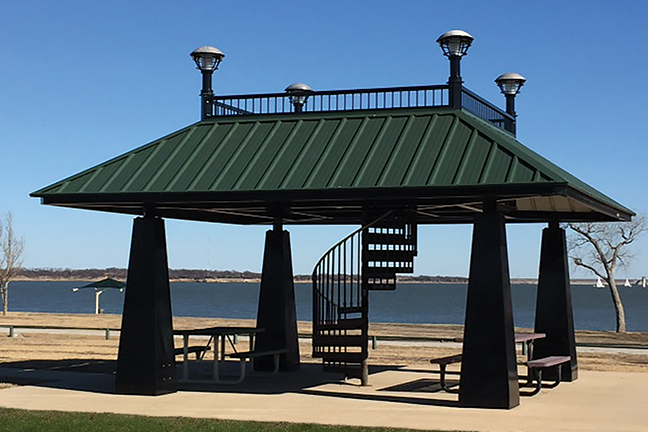 Roof deck: 24 ga. Steel Panel, 24 ga. Steel Standing Seam, 2x6 Tongue & Groove or Structural Wood Panel Roofing materials: 24 ga. Steel Panels, 24 ga. Steel Standing Seam, Asphalt Shingles or Cedar Shingles Single Roof Configuration: All Sizes See options and accessories pages for available upgrades.